A circle skirt is flattering on everyone. Young, old, short, tall, curvy, not so curvy. And the good news is that these lovely bloggers have helped you with the math. 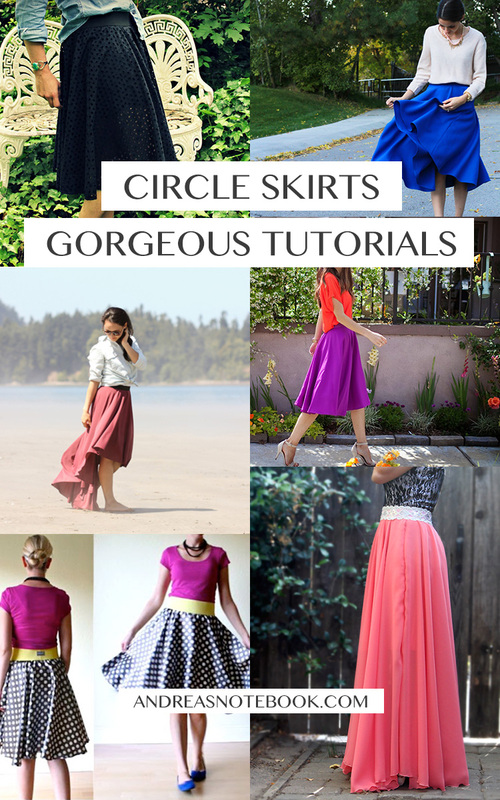 All 6 of these gorgeous circle skirt tutorials are wonderful and will help you complete a gorgeous circle skirt of your own! Grab your sewing machine and get sewing! « You Can Freeze Avocados! I can’t wait to try these tutorials! Thank you so much for sharing!! Thanks so much!!!! Really like all your sewing tutorials!! !